Heat the oil in a wok or large frying pan over high heat. Add the bacon and cook, stirring occasionally, for 4 minutes. 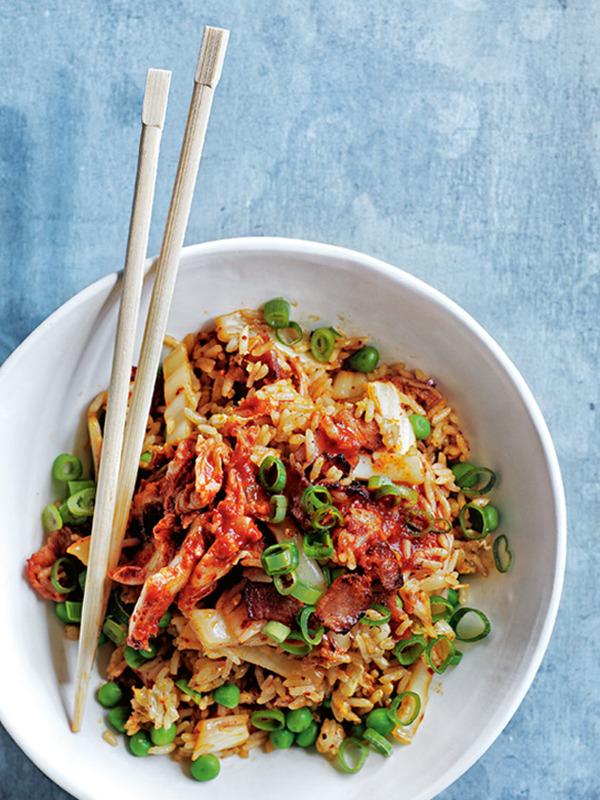 Add the rice, peas, kimchi and soy sauce and cook, stirring occasionally, for 4 minutes. Add the eggs and cook, stirring, for 3 minutes. Top with the onion to serve. Serves 2 or 4 as a side.